A modern man is reborn into a fantasy world as a sword in this new isekai light novel series! 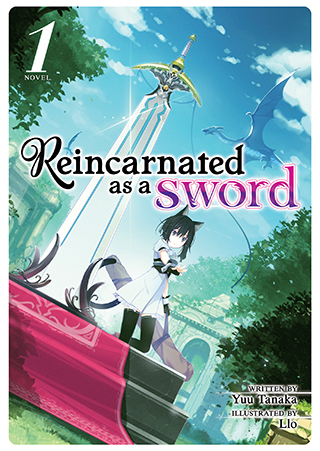 Reincarnated as a sentient weapon with memories of his past life, but not his name, a magical sword saves a young beastgirl from a life of slavery. Fran, the cat-eared girl, becomes his wielder, and wants only to grow stronger, while the sword wants to know why he is here. Together, the strange duo’s journey has only just begun!